An almost year long arson investigation has yielded the arrest of a local man. 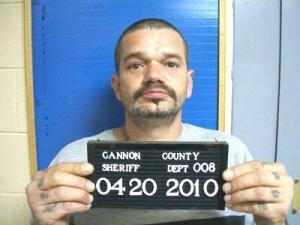 Jeffrey L. Thomas was arrested by Cannon County Sheriff's Detective Vance Walker and charged with arson following a mobile home fire which took place on July 8, 2009. According to court documents, Thomas was sen by two separate witnesses running from the scene shortly after the fire started. It was also alleged that Thomas made statements to witnesses that he would profit financially from the arson. The home was located at 1004 Manustown Road, but was unoccupied at the time of the fire. Thomas is being held in lieu of $20,000.00 bond at the Cannon County Jail and will appear before General Sessions Judge Susan Melton on May 4, 2010. Arson is a class C felony which carries a prison sentence of 3 to 15 years and a fine of up to $10,000.00.